During this election season there have been many questions asked about the district's BOLD plan. 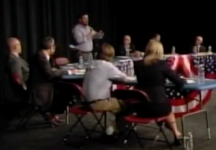 During the October 13 school board meeting district leaders revisited the topic of BOLD to share what it would mean for students, as well as review what would happen if BOLD were reversed. Watch the presentation. Afton-Lakeland, Rutherford, Stonebridge and Oak-Land Junior High will be utilized as polling place for the election on November 8. Voter turnout is expected to be extremely high and community members will be entering our buildings throughout the day to vote. We encourage you to allow extra time and exercise patience as you drop-off and pick-up students on Tuesday. We are working with local law enforcement to have additional security in place at these schools. Volunteers are also being utilized to help direct voters and keep our students, staff and visitors safe. Contact your school with any questions or to find out how you can volunteer. Planning for the new learning spaces at the high school has been very intentional. Conversations about the number of classroom spaces, and how those spaces would be used by students and staff, began in early 2015 - even before Superintendent Pontrelli joined the district. The new design is more like a college campus, where teachers will work in shared spaces and come together with their colleagues. Collaboration between teachers is one of the single most effective ways to improve learning for students. 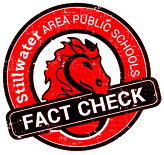 Read more on our Fact Check website. Among the very best in the state! The Stillwater boys soccer team shut out undefeated Wayzata 2-0 in the Class 2A state championship game at U.S. Bank Stadium. The victory capped a perfect 22-0 season for the Ponies, who are ranked #4 in the nation. See photos on Facebook. The high school and middle school mountain bike teams took first place in the state championship race! The four mile course was the most difficult of the season and gives bonus points to the racers. After combining points from the championship race, along with five races during the regular season, the Ponies placed 2nd overall in the varsity division. Read more. Attendance boundary changes will be taking place next year. Information will be sent to families impacted by the changes later this month, and families will also receive details about alternate enrollment options. The district is planning to move forward with the changes approved by the school board in May 2016. However, a contingency plan is being developed in the event a decision on school closures is overturned. That contingency plan, which was modified based on community feedback, will be presented to the school board at its Nov. 10 meeting. See the revised plan. High school thespians to perform "The 39 Steps"
Mix a Hitchcock masterpiece with a juicy spy novel and add a dash of Monty Python and you have The 39 Steps. With an on-stage plane crash, handcuffs, missing fingers and some good old-fashioned romance you won’t want to miss The 39 Steps! The shows will take place at Stillwater Junior High on Nov. 17 and 18 at 7 p.m. and Nov. 19 at 2 p.m. and 7 p.m. Purchase tickets at the door or call ahead to reserve: 651-351-8109. Calling all student artists, scientists and filmmakers! It’s not too early to be thinking about a project you can enter in Da Vinci Fest, the art and science extravaganza sponsored by The Partnership Plan, the educational fund for Stillwater Area Public Schools. Da Vinci Fest will be held on Jan. 7, 2017 at Stillwater Area High School. 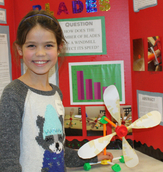 Students in grades 4 through 12 can compete in a Science Fair and/or an Art Fair. There’s also a chance for students to show their creative short films during the event. Deadline for student submissions is Dec. 15. More details are on the Partnership Plan website. Get your free fruits and veggies! FREE farm-fresh produce is available to families from Valley Outreach from 4-5:30 p.m. on Nov. 9 at Oak-Land Junior High. Check out digital Backpack for more about the Produce Giveaway, as well as other resources for families and activities for kids.